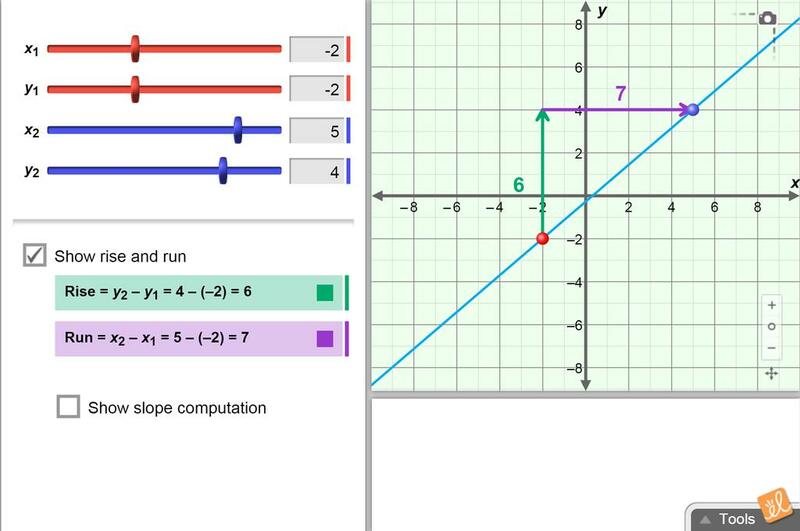 Explore the slope of a line, and learn how to calculate slope. Adjust the line by moving points that are on the line, and see how its slope changes. This is the same as the Exploration Guide, but I've inserted spaces for the answers, increased the font s... (more)ize and put it into a Word document so you can edit it further if you would like. This is the same as the Exploration Guide, but I've inserted spaces for the answers, made the font a litt... (more)le bigger, and put it into a Word document so you can edit it even further if you would like. It is a lesson using snapshots of different line graphs generated from the Slope B Gizmo. Each line gra... (more)ph is presented as an exercise and the learners should be able to answer questions related to the graph. I added graphics, larger fonts, a few hints, and more space for answers. Great! Makes the concept easily comprehensible. I love this GIZMO! Students can see the relationships and changes in aspects of linear functions. I love this gizmo because it allows users to make different line graphs and discover their slopes.